Watching the support for the Miller CC Garden project grow is just amazing. This summer it’s going to be great watching the beds go in and the plants begin to grow. The community around Miller CC is indeed fabulous, and I’m happy to say in excellent company on the community food frontier. Miller CC is 1 of 8 community centers that is supporting a garden as part of a community food system in Seattle. Community Food System? It sounds a little wonky and bureaucratic, but it’s pretty simple: connect community gardens, local food distribution, community kitchens and meals with composting programs at a single location. This brings different groups together to feed themselves and the community. The groups and programs support each other, making the system sustainable and convenient, too. Plus, it brings more folks to the Park and the Community Center to engage in new activities. At Miller CC, many of the pieces of the food system are already in place: Full Circle CSA (distribution), Community Kitchen (schools) and Senior Food and Fitness (community meals). The garden is the final piece in the system. This pilot program will run through the next year. Then, each site will be evaluated to see if it’s a valuable and sustainable model for those communities. This pilot program allows us the space to be creative and flexible. On this trial basis we can try new ideas and then look at the results to create permanent programs. 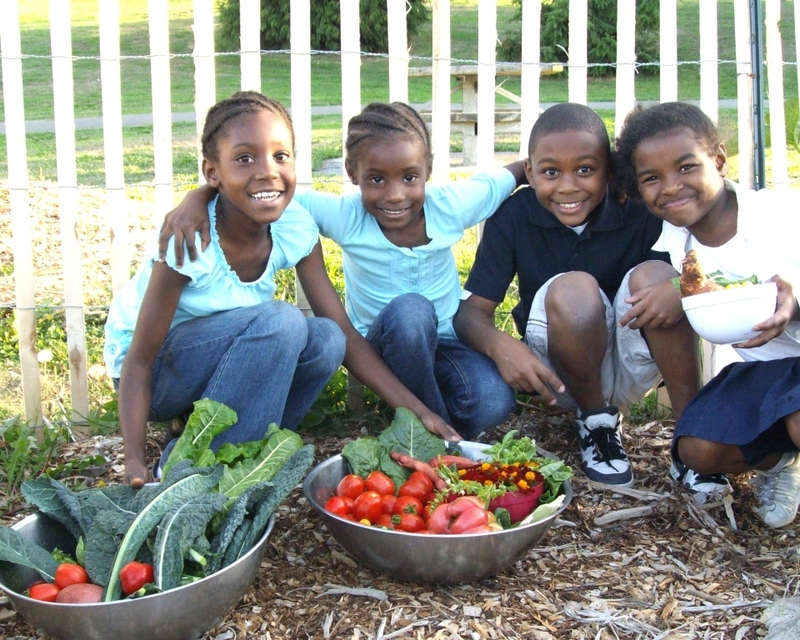 The Pilot program is part of the Parks Urban Food System Initiative (PUFS), where Parks is growing community through food programs. Happy harvesters at the Rainier CC garden last fall, also part of the pilot program. If you have any questions about the pilot program in general or the Miller CC garden specifically, please email millercommunitygarden@gmail.com.